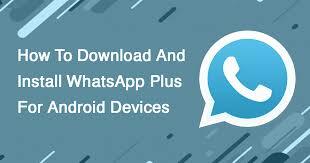 WhatsApp Plus is an APK that can be used to modify the features of WhatsApp Messenger for Android. It comes along with different themes, hacks and customization options. If there’s one application that can’t go missing on any smartphone in the world, whether Android or iPhone, it definitely has to be WhatsApp. In this modern era of smartphones, the major advantage of these handheld devices being around is to stay connected with your loved ones conveniently. We have been used to messaging since the last decade. In the latest times of smartphone revolution, there have been tons of messaging apps around to stay connected to the world via texting. One such messaging app is WhatsApp, yes you certainly know this app as it is most widely used around the globe with its simplicity & ever-growing user base, WhatsApp is one of the best messaging apps. Well, WhatsApp Plus 2019 is WhatsApp along with tons of customizable options to tailor your needs. It is the most popular among Android apps ecosystem. While some users of WhatsApp Plus are complaining about the app not working anymore because it is not available anymore, we are here to rescue & share a complete guide regarding WhatsApp Plus. 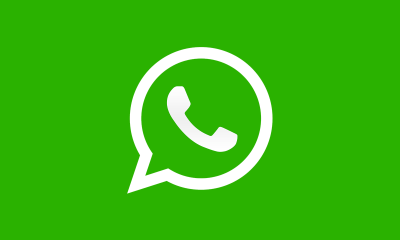 This WhatsApp Plus APK mod developed by Omar is different from the previous WhatsApp Plus which was developed by Ralfanse. This version will have all the functionalities as of the former WhatsApp Plus. WhatsApp Plus 2019 APK comes with the new functionality of hiding your last seen status along with many other tricks under its sleeves. Bored of the same old lame green WhatsApp UI, you can change the theme of WhatsApp & also have the fun shared with sharing the themes with your friends along with tons of other tricks. WhatsApp Plus comes with many functionalities & cool features that other WhatsApp mods lack. You can download WhatsApp Plus right away on your Android device to enjoy its cool features. You can download it from the procedure mentioned below. App Name – WhatsApp Plus. App Size – 36 MB. Last Updated On – 24 March 2019. Main Task – WhatsApp Features + Exclusive hidden features. Step 1: Simply download the latest WhatsApp Plus APK file from below. Step 2: Before going ahead just take a backup of your chats, in order to do that just open the previous version of WhatsApp Plus on your device & head over to Settings > Chats > Backup. Step 3: When the backup gets completed, it’s time to uninstall the old version of WhatsApp Plus from your Android smartphone. To uninstall the app just head over to the Settings > Apps > WhatsApp Plus > Uninstall. Step 4: After the APK file download from Step 1 is complete, time to install it on your Android device, before installing the WhatsApp Plus APK file just make sure you turn on the ’Install Unknown Apps’ option from the settings menu of your Android device. Step 5: Now, time to Set-up the new version of the WhatsApp Plus app APK. Enter & verify your mobile phone no. If the app detects the back-up, just click on restore if you want to restore from the back-up. Or else ignore it if you’re going to start fresh. Step 6: Enter the other details like Name & you will be up & running with the latest version of WhatsApp Plus on your Android device. Solve the problem of closing the WhatsApp when opening a new conversation/chat. Let’s check all the features of the WhatsApp Plus 2019 version. 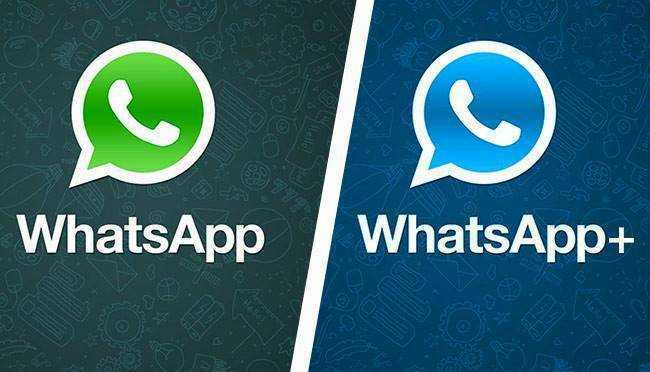 We advise you to also read out an in-depth comparison of the most popular Whatsapp mods GBWhatsApp Vs. WhatsApp Plus here. 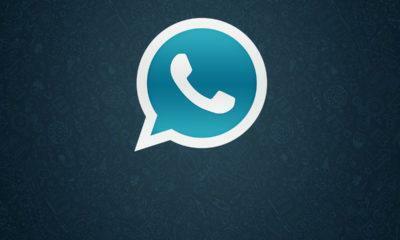 The latest version of WhatsApp Plus APK is based on the latest version of official WhatsApp. You can get notifications of the messages that are revoked. Now, You can now lock the voice recording message by swiping up. Play videos with your preferred video player instead of the default video player. One can easily search the group’s members, admins & group settings. Added an automatic reply feature, to preset the automatic replies to your contacts. WhatsApp Plus comes with an ability to add the group description in WhatsApp. DND option to disable incoming & outgoing messages. One can increase the limit of the video in status from the default 30 seconds. You can hide the last seen status, blue ticks & also second ticks. Specific messages can be filtered while using the clear chats option. Anti-revoke messages mod which restricts other users from deleting the sent texts to you. You can now revoke multiple WhatsApp messages in one go. Recall WhatsApp messages & scheduled messages. Create links of Group invites to share. The functionality of the video call is now added. Always online mod, option to disable voice calling now added. Many Customisation features added in the latest version of WhatsApp Plus. Update to the latest mod of WhatsApp and Send any file format like PDF, TXT, docs, etc. Simple to change themes with applications. 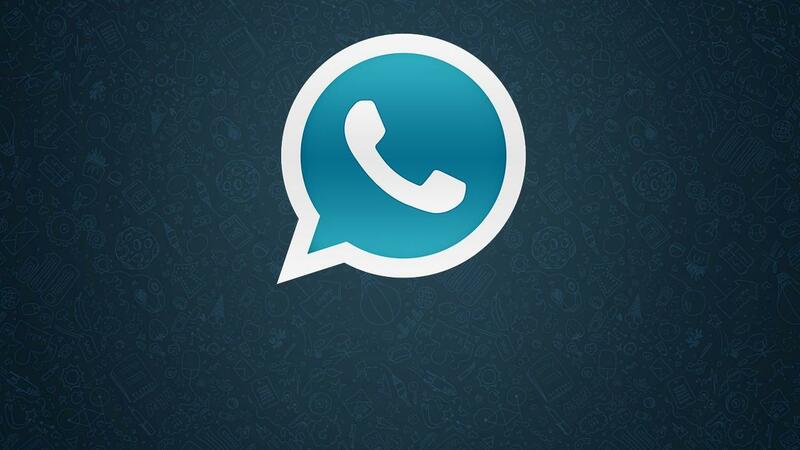 Ability to change the launcher icon of WhatsApp Plus app. In-built locking ability for WhatsApp Plus to lock the WhatsApp app without third-party lock app. The font style of the conversation text can be changed as per your liking. Status clipboard to copy the status of anyone. The status limit is increased to a maximum of 255 characters. Now, you can be seen with an always ON online status, but this increases the battery usage. Functionality to save, load & share the themes with your contacts. You can know the configuration of pixels of pics & their size as well. A log to keep track of the online status of your contacts so you may know who was online at that time. Can take a complete backup of your chats & history so you can skip the registration process the next time you install WhatsApp. You can share the full resolution high-quality images in WhatsApp. Well, just like any other app, WhatsApp Plus also asks for permissions. The permissions are listed below. Access to Wi-Fi, Bluetooth, Camera, Microphone, NFC. Just like any other user you also might have some doubts regarding WhatsApp Plus, well to aid wither away your confusion here are some FAQ below. Check them out below. Q. Will my WhatsApp account be safe if I use WhatsApp Plus APK? A. Yes, it will be safe. Q. Is it better than the Official WhatsApp messenger app? A. Yes, it is better than the official WhatsApp as it comes feature packed. Q. 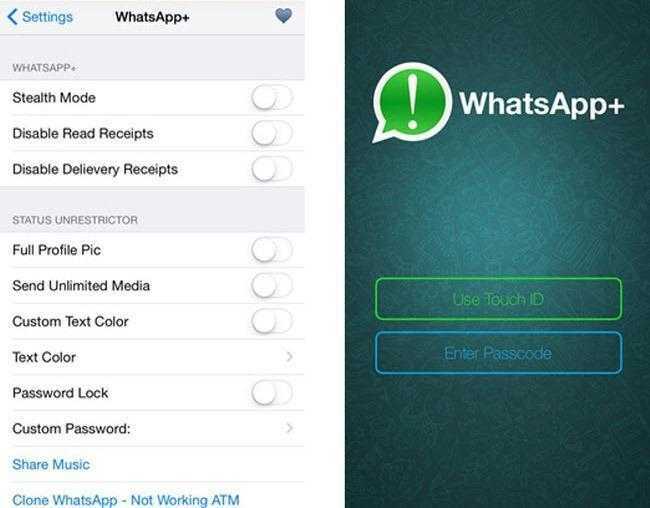 Is WhatsApp Plus available for the iPhone? A. No, it is not available for iPhone but only for Android devices. Q. Do I need to uninstall the official WhatsApp to use WhatsApp Plus? A. Yes, you certainly need to uninstall the official WhatsApp before installing WhatsApp Plus 2019 APK on your Android smartphone. Q. 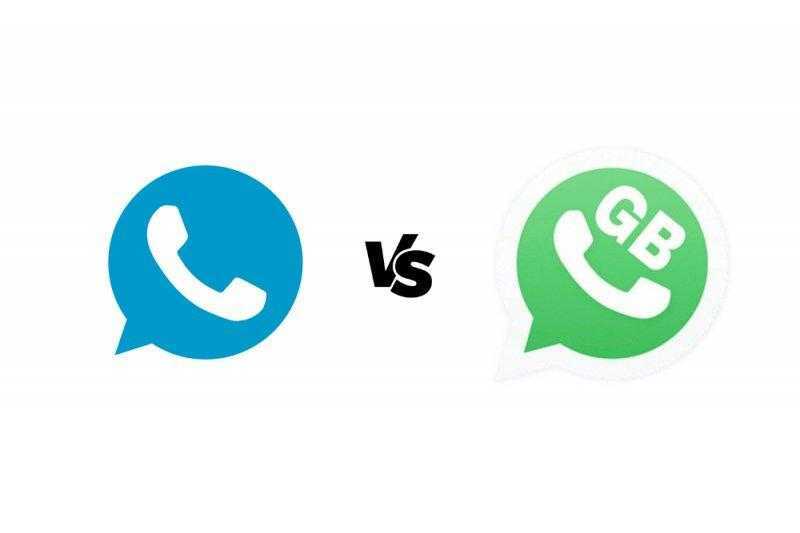 Out of WhatsApp Plus & GBWhatsApp, which one is better? A. WhatsApp Plus, GBWhatsApp, OGWhatsapp, and GBWhatsapp Plus all come with their standalone features, you can go for whichever you prefer. Well, WhatsApp Plus is a whole complete package with the privacy features, changing themes, increasing status time, sharing full-size images & many more. It makes using WhatsApp much cooler & fresh user experience. So, install & enjoy the tons of features that it provides. Until next time, Adios! Wink!